It’s a shame that the concept of ‘gaining muscle’ is often accompanied by the image of a muscle bound meathead grunting while clanging tin. As a consequence, many people have been scared away from proper strength training, and in turn, have ended up doing less effective methods of exercise. Statistically, aerobic or cardio training is the most participated form of exercise to try and improve health and body composition. However, do the statistics support the premises for us putting our faith in it? Well, public health is not improving and obesity rates continue to soar. If we wanted to investigate this matter further, it might be fair to say that while our passion to hit the pavement has increased, our rates of general health as a population have done the opposite. Enter lean muscle; the potentially missing link to optimal health. Once again, I’m not talking about those who are manipulating things in order to obtain as much muscle as possible (hormone manipulation, steroids etc.). I’m just talking about the plain and simple facts of lean muscle, attainable by anyone. 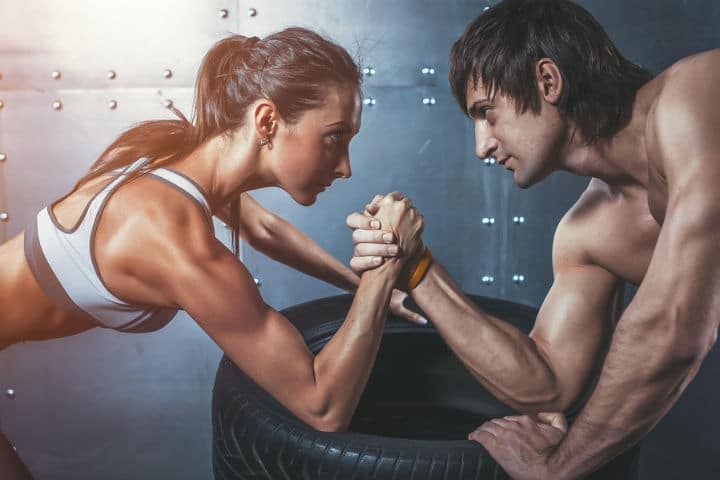 Do you want to be lean, or skinny? Let’s bring up one of the most highlighted points first- losing body fat. It’s important to note there’s a major difference between getting lean and getting skinny. In a nutshell, lean is sustainable, skinny is not. Well that’s not entirely true; skinny is sustainable, but it will come along with many health complications. Ranging from ailments such as as poor thyroid function, adrenal issues, gut issues, to poor bone density. As opposed to skinny, there’s lean. The higher your lean muscle mass, the more calories you’ll burn while resting. And guess what, research backs this up! Furthermore, most research shows that aerobic training actually worsens a person’s metabolic rate. Meaning their metabolic resting rate is at least 500 calories less than someone doing strength or hypertrophy training. That’s significant! Then there are the not so often highlighted benefits on hormones. It’s reasonably well known that lean mass increases testosterone. But it goes further than that, because everything in the human body, particularly hormones, is about ratios. One of the most important hormone ratios is your testosterone (muscle growing hormone) to cortisol (stress hormone) ratio (T/C). Low testosterone predisposes people to an environment whereby their body eats muscle, rather than growing it. Likewise, increased cortisol reduces muscle mass and increases abdominal fat. Increasing strength and muscle gains will optimise your T/C ratio to keep your body in a more anabolic (muscle building) state. Guess what? This is better for fat burning!! The other wildly under-appreciated hormone is insulin. Building muscle increases lean tissue’s receptivity to insulin and increases the muscles demand for glucose. Thereby pulling glucose out of the bloodstream and into the muscle for fuel. This will help with how glucose travels into the cells and in turn help in diabetes prevention. Who would have thought that lean muscle could be the ultimate see-saw balancer! How about the structure of the body? The way to look at strength is as the seed from which everything else grows. Without its foundations, everything else seems incomplete. For example, while endurance training has the capacity to leech vital minerals from your bones, it has been studied that heavy lifting has the opposite effect. Let’s use another example. Amino acids are the building blocks of our body. For simplicity’s sake, I’m only going to pick one here, and that’s Glutamine. Skeletal muscle contains 60% of the body’s glutamine and is vital for gastro-intestinal mucosal barrier (keeping the nutrients in) and immune system health. While strenuous, continuous exercise like aerobic training (as well as inactivity), leads to glutamine depletion, moderate training methods like strength training lead to improved glutamine availability. Once again, this provides much needed balance for our body’s key functions. It will also help strengthen key muscle areas like our deep abdominal muscles, the (almost) always weak posterior chain, and more mobility through load in the joints. The fact of the matter is, I could go on with this for some time and some depth. In essence however, this is a tool that most of us just aren’t using properly. People continue to take part in fun-run after fun-run, and utilise cardio as the key to longevity. While aerobic training does have its advantages, it’s not the be-all and end-all of fitness- far from it in fact. When it comes to longevity, and bringing things back into balance, we must put our faith into a less participated field: strength training. Steady loss of lean muscle mass is one of the greatest long term threats to our ability to remain healthy and function optimally, especially with advancing age. In medical terms, this is commonly known as sarcopenia. It comes about from having sub-optimal hormone levels, an inadequate amino acid profile, nutritional deficiencies, oxidative stress and inflammation. Now does that sound familiar? What could possibly pull a lot of these imbalances back into line? Strength and lean muscle is the anti-ageing formula right on our doorstep! No matter what age, gender or size you are, we recommend everyone seeking expert advice on resistance training and start building that lean muscle. Not only will you look good in the mirror and feel amazing, you will be slowing down the ageing process and looking after your long-term health. Ps. Enjoy this post? You may also like our interview we did with Dave as we discuss the Wim Hof Method. This article is brought to you by David O’brien. He is the fitness director of 5th Element Wellness. 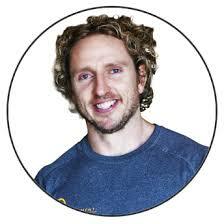 He has dedicated his life to individually tailoring wellness and fitness strategies to improve peoples’ lives. Having spent over a decade being educated by the world leaders in their respective fields, he has gone on to combine their knowledge to successfully develop into his own strategies accumulated from learning and honed through experience. Ultimately applying holistic solutions leaving people better informed, and feeling great. If you would like to learn more about him, you may check him out here.